A few weeks ago I did an interview with Jo (Shiny Bees) for her podcast and one of the topics we ended up discussing was creating an online space that was your own. It may perhaps show my age but I’ve definitely been around the digital block a few times. When I started out with my first online business it was 2000 and it was all done using a dial-up modem. I sold natural parenting products, my husband built an online store from scratch (all card payments were processed manually), as well as discussion forums. We even put together a library of parenting articles. When the first open software for online shopping carts became available we jumped with joy as suddenly we could have a much slicker online store with the part of it ready made. Over the last few years, the online landscape has changed considerably. If you want to build your own online store you no longer need much technical knowledge, just pick the service, pay a monthly fee and drop your products in. In fact, a lot of designers (and other businesses) aren’t even bothering with a website that they own any more, selling entirely through Facebook, Instagram or maybe Ravelry. The entry level is low and if you’ve got a strong online social presence you can grow quickly. There is one little problem though that if this is your first time running an online business you won’t immediately see. You have no control. If you don’t have your own online home or space you are always vulnerable to platforms changing their algorithms or even closing down or merging with another business. This may all seem paranoid to you if all is going well but if you run an online business I’d encourage you to take control of your space. Use social media to drive people to your space; maybe its a blog, maybe it’s your own store or maybe its a newsletter. That way you have control and most importantly anyone who wants to hear about what you’re doing can be sure they won’t miss anything. 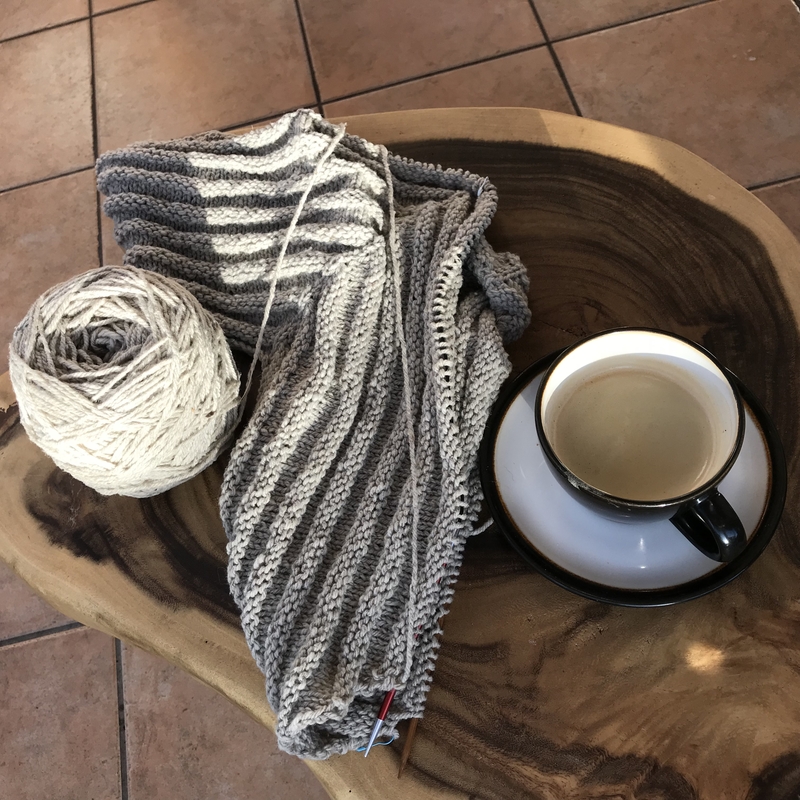 If you control your own space and customers/knitters/friends join you in that space you can set your own rules and you’re buffered from major changes to the online social space. This also means you can make that space welcoming to everyone and control the content. We have had a few deaths in our extended family in the last few weeks so I’ve been somewhat absent from a lot of social media discussions. I’ve popped in and out but I don’t have the time to interact. There is nothing like attending multiple funerals to focus your mind on what’s important and where you want to be. I do want to make it very clear that as a person and as a business I will always encourage and promote inclusivity. Life is too short and full of pain to tolerate hate and judgement, I will do my best to make any space I have control over a comfortable and enjoyable place for all to be. Here’s to a fresh start to all in February!